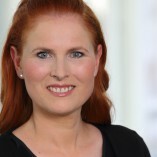 Anke Rapsch Citavi-Training offers a professional service. Anke Rapsch Citavi-Training teaches effective problem solving skills. 11/24/2017Katrin Correll - Kindheitspädagogen Frankfurt e.V.